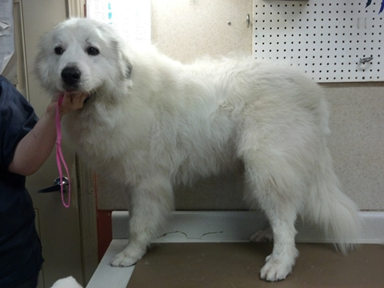 Great Pyrenees Groom Page - NAJU... "The FUN Place for Your PETS!" 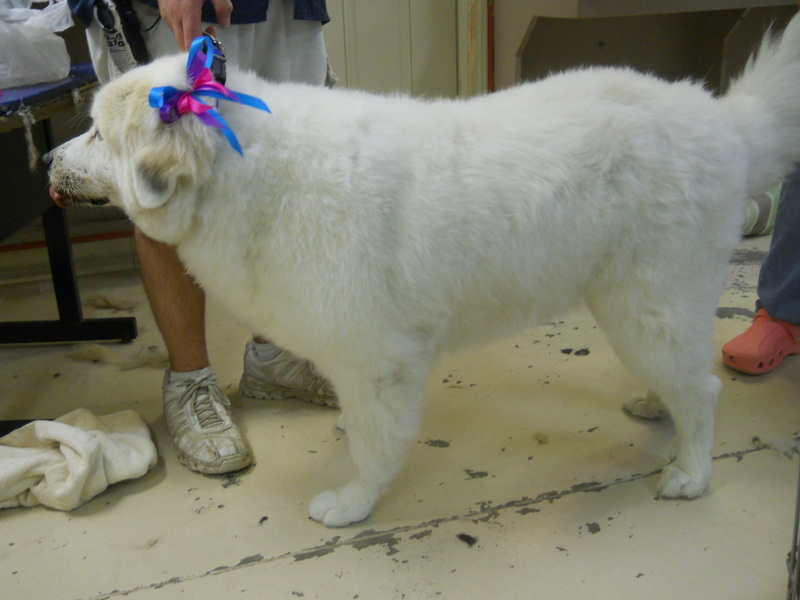 Normal Great Pyrenees Groom (No sculpting or neatening). 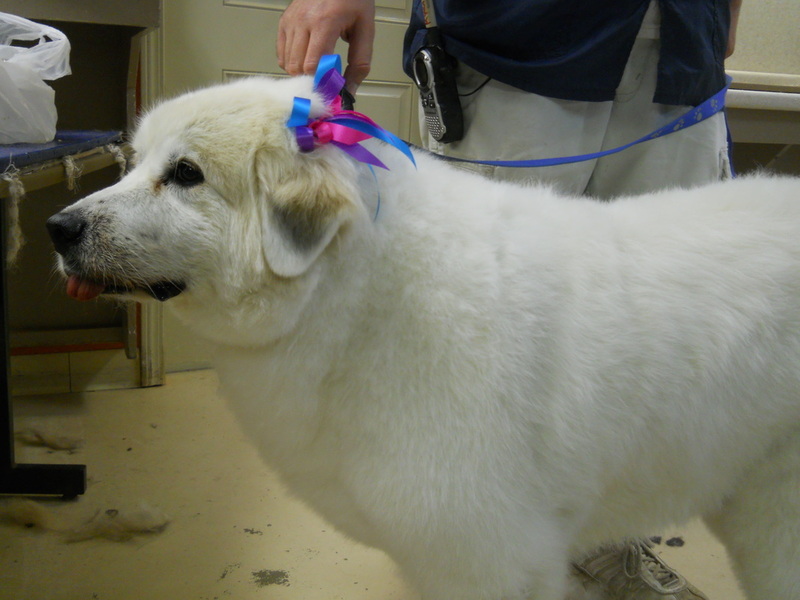 Normal Great Pyrenees Groom w/ sculpting for a neater appearance. Profile of head and front (sculpted). All of the basic bath items plus clipper & scissor work to create the style of your choice. Though your pet's breed standard doesn't normally call for clipper or scissor work to create a style, the NaJu groomers can do anything custom ranging from light neaten up sculpt to a custom cut down groom... The choice is yours!